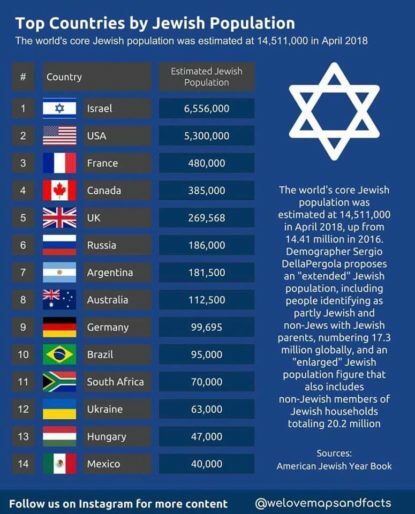 Top Countries by Jewish Population (as of April 2018). Let’s see how accurate this is… Comment with the flag of your Country: 🇺🇸🇮🇱 Check out the comment section on Facebook and Instagram! NEXT POST Next post: How Do You Tie Your Shoes?